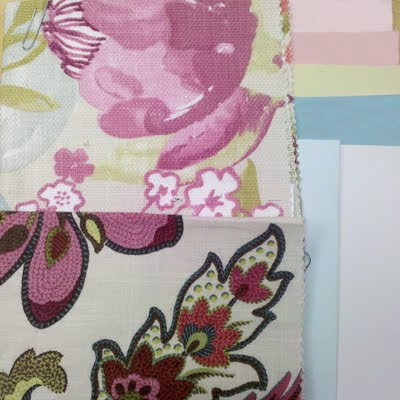 The fabrics in this color collaborations were what inspired me the most. I love the contract between them of the soft edges versus the bold lines. And yet, they seem to easily compliment each other through their color schemes. I think this palette would make a wonderful guest bedroom. The paint colors are all Benjamin Moore. I would use the Atrium White on the main walls with probably a dual-color accent wall in the two pinks. The Crystal Blue would make a great ceiling accent and the additional blue and yellow would likely be used in trim and accents.